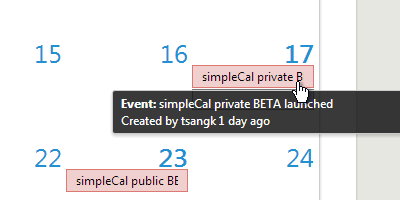 This is a demonstration of an Wikidot Application "Cal-SimpleCal" using the [http://cal.wikidot.com/] . Here is the Demo with the current month as a mini and some events and down a demo with all 4 variants. 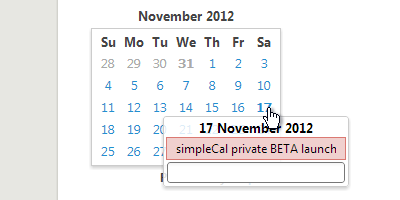 [[include :cal:mini]] gives: ( click on a day to create event-entries in the "cal:" category! 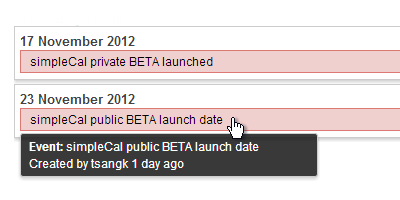 CLick on the different demos to find your solution! 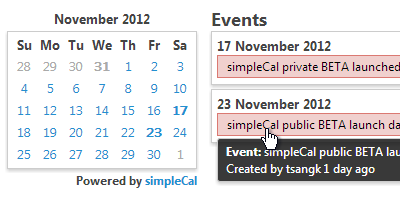 Don't forget the neccessary (autonumbered) "cal" category on your site for the events-entries!